Podesta just can’t seem to comprehend the fact that Trump won in spite of all the collusion, fraud, corruption, betrayals, accusations, lies, threats, etc. etc. etc. You’re right, it wasn’t fair. With debate questions beforehand, media collusion, pay-for-play from foreign countries, cheating against Bernie. 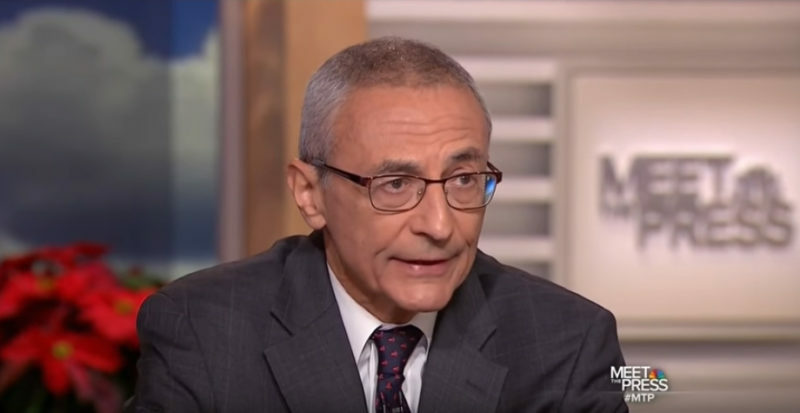 “Do you believe this was a free and fair election?” NBC “Meet the Press” host Chuck Todd asked Podesta, whose hacked emails were published online during the campaign. “I think the Russians clearly intervened in the election,” Podesta responded.